World Day of Water is observed annually on March 22 as a means of focusing attention on the importance of freshwater and advocating for the sustainable management of freshwater resources. An international day to celebrate freshwater was recommended at the 1992 United Nations Conference on Environment and Development (UNCED). 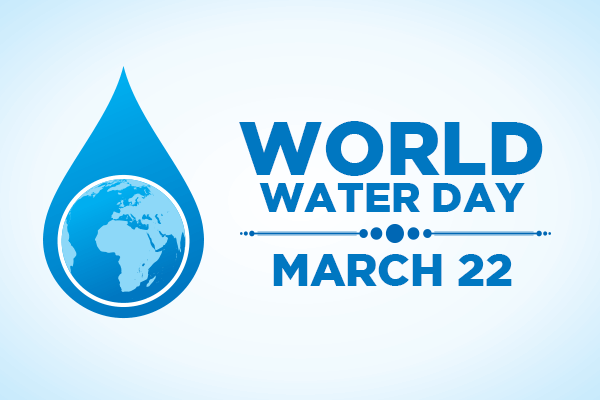 The UN General Assembly responded by designating 22 March 1993 as the first World Day of Water. States were invited to devote the Day, as appropriate in the national context, to concrete activities such as the promotion of public awareness through the publication and diffusion of documentaries and the organization of conferences, round tables, seminars and expositions related to the conservation and development of water resources and the implementation of the recommendations of Agenda 21. In this day join the campaign to get informed, engaged and take action. You can also contribute on social media by using the hashtags #WaterIsWork and #WorldWaterDay.